Vessel Baruna Jaya I managed to find the location of a black box QZ8501 AirAsia plane that crashed in the waters of the Strait of Karimata on December 28, 2014. Related to these findings, the Coordinating Minister maritime Indroyono Susilo and Tim Baruna Jaya will give a press conference at BPPT Jakarta Post. Earlier, three ships managed to capture the signal black box not far from the location of the discovery of the tail AirAsia. Three ships were captured signal AirAsia aircraft black box that vessel Baruna Jaya, Java Interior, and Ship GeoSurvey. The detected signal is approximately 1 mile from the east location of the aircraft's tail discovery based on information Operational Director Basarnas Marsma SB Supriyadi. As for his own tail QZ8501 AirAsia has lifted and transported by ship Crest Onyx heading to Port Kumai this afternoon. Joint SAR team also discovered new fragments which are then transported to the Port Commander Ship North Kumai by Trident. 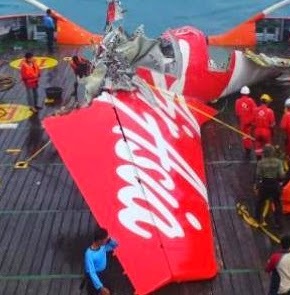 Previously, AirAsia boss Tony Fernandes said that the black box might have been found. We were led to believe that the black box might have been found. However, this is still unconfirmed. However, this info strong. But, my staff estimate that the fuselage, "Tony said through his Twitter account.